In the world of guns ‘tactical’ gets thrown around a lot and sometimes things claiming to be ‘tactical’ can be a little overhyped, or downright useless. The same goes for the knife world. We’ve thrown together this roadmap to the 10 best tactical knives available right now. 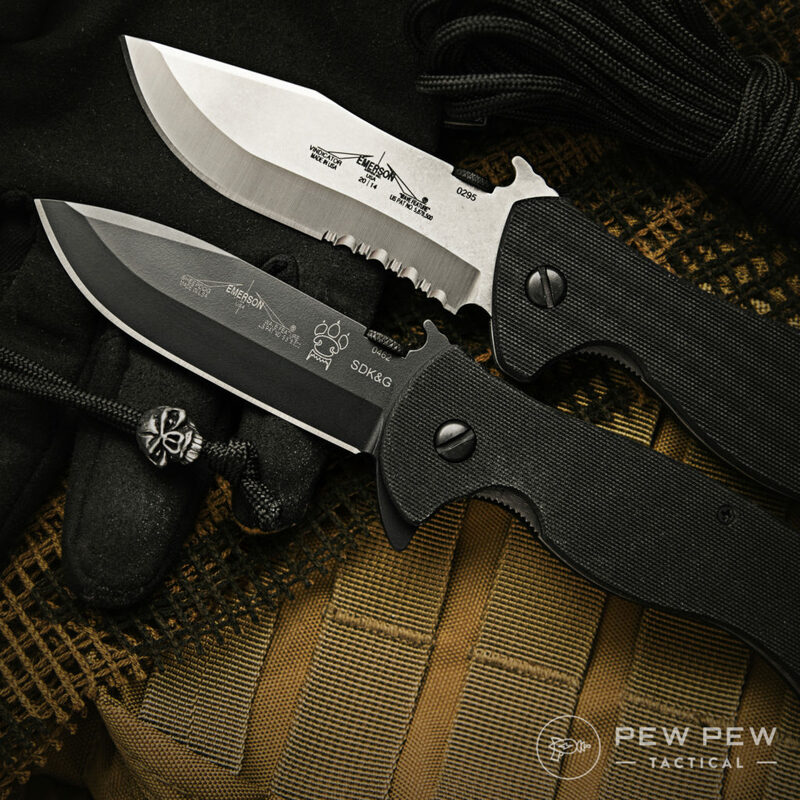 What Makes a Tactical Knife Tactical? Put simply the most common features of tactical knives are aggressive grip material, speedy one-handed opening, and purpose-built blades. When looking for a tactical knife you want to consider a few things. First, what will you primarily be using the knife for? Second, what tactical conditions will the knife need to perform under, and finally how does it fit in your hand? Just like anything in life the coolest most expensive gear does you no good if it doesn’t fit you and your needs. Why Carry a Tactical Knife? There are a lot of great knives in the world. The reason you would want to carry a tactical knife daily would boil down to preparedness or occupation. If you are LEO, First Responder, or Military you know how important a good duty built knife can be. Tactical knives still have an important place for those that are not on the front lines daily. A good tactical knife can be the difference between escaping a car crash, defending yourself, helping others in distress, or not. Obviously, you don’t want to bring a knife to a gun fight but as a last line of defense, it could make the difference when it counts. So while there are many great knives in the world, not all are built to perform under strenuous situations. 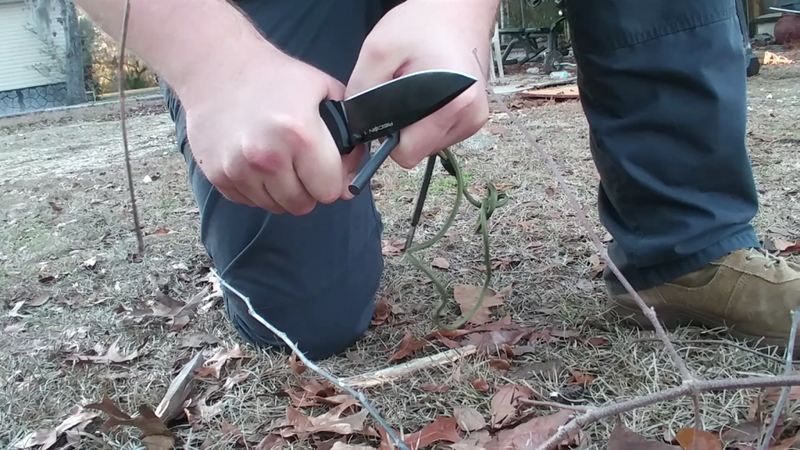 The last thing you want is your knife to fail when trying to perform some critical task. To Serrate or Not to Serrate? Normally this would boil down to preference, but with a tactical knife it boils down to use. 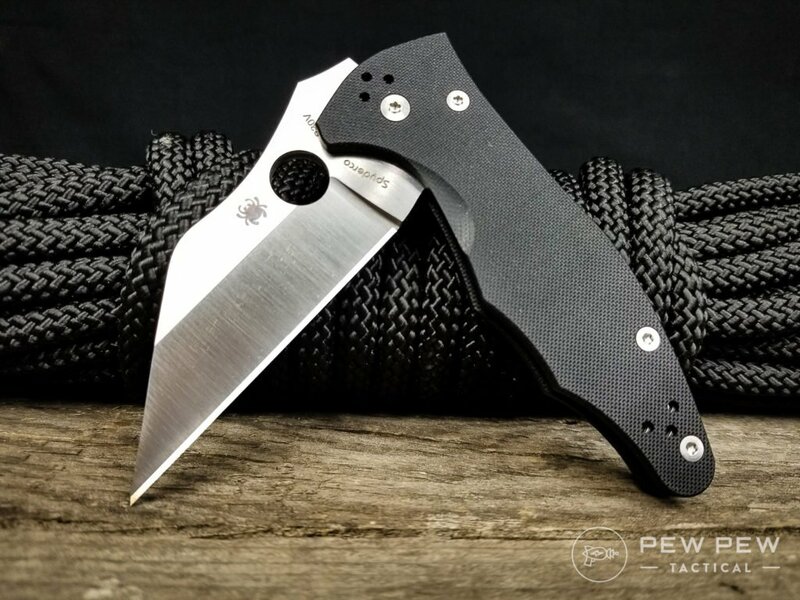 If you are going to be cutting through the webbing, rough material, or won’t be near a sharpener for a long time, then a serrated or partially serrated edge is for you. If you want a good slicer and self-defense knife then the plain edge will be your jam. You want the right tool for the job. 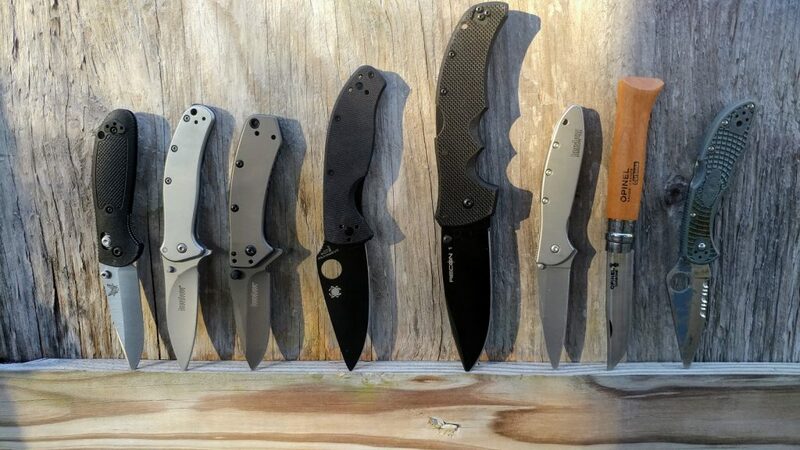 Now that you know what a tactical knife is and how to choose the best one for you let’s dive into the top 10 tactical knives organized by price. Before we start though, don’t forget to check your local laws. Not all knives are legal in all areas. 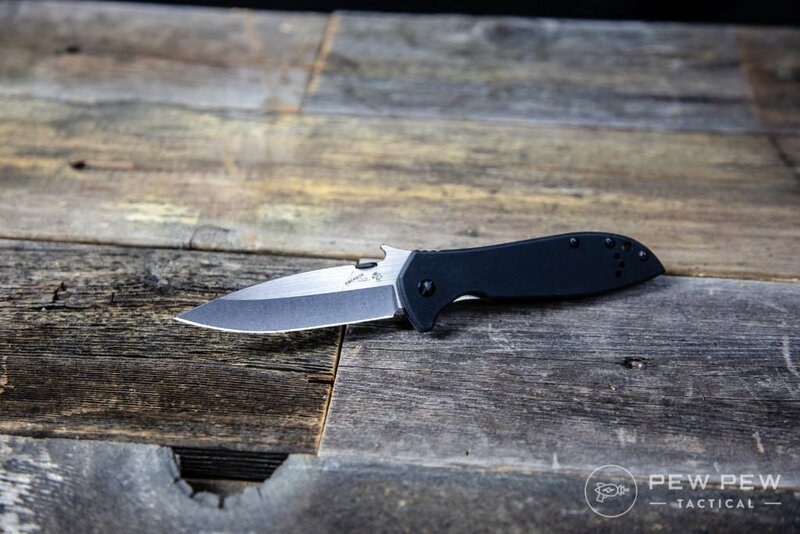 The Kershaw Emerson CQC-7 is an inexpensive production knife based on a time-tested Ernest Emerson Design. Usually, the words ‘inexpensive’ mixed with a designers name should make you run for the hills but this CQC-7 is a rare exception. The hollow ground clip point blade is perfect for self-defense as well as EDC tasks. The thumb disk on the spine of the blade acts as an easy opener for normal uses. 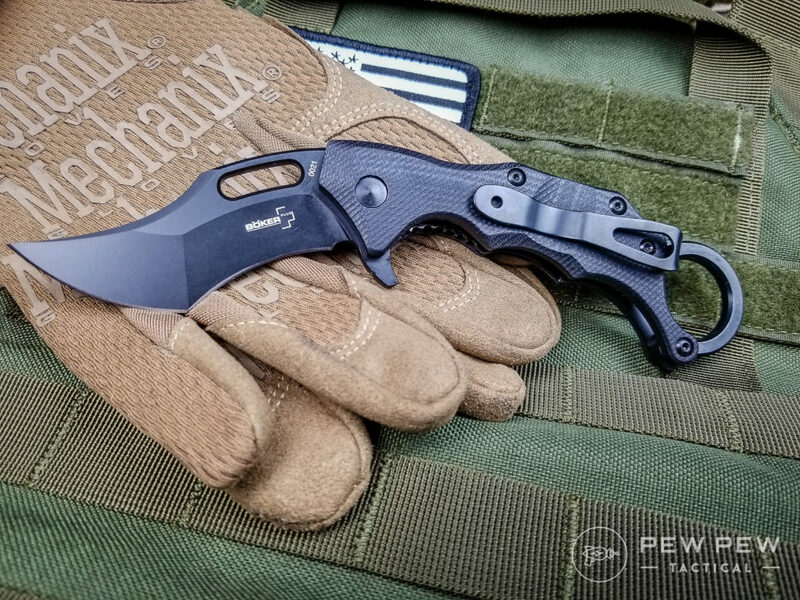 The wave on the back of the blade, known as the Emerson Wave, was designed specifically for Navy Seals in self-defense situations. 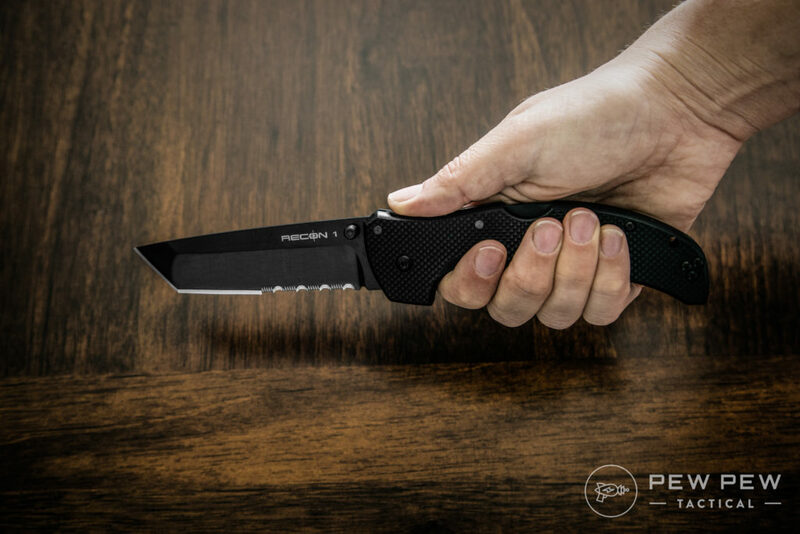 When pulled correctly from your pocket the wave will catch on the side of the pocket and pull the knife open and lock in a matter of seconds leaving one hand free while still deploying your blade. Even if you never use it in self-defense it is a great way to impress your buddies. The Boker Strike is an incredibly well built and solid automatic knife for the price. It comes with an aluminum textured handle and burly drop point blade with plain or partially serrated edge options. The Strike is big enough to use with a gloved hand yet compact enough that it doesn’t take up all your pocket. With the built-in slide lock safety, you’ll never have to worry about a misfire in a pocket or in hand. The Strike walks a pretty perfect line between reliable, usable, and affordable. The Cold Steel Safe Maker 1 is a self-defense push dagger through and through. Many LEO will carry one behind their magazine holsters on their Duty Belt. If someone were to go for the officers gun the officer could put a control hand over their gun and pull the push dagger with their other hand to neutralize the threat. Short of full-on self-defense, the push dagger does not have much use. A lot of people will carry push daggers as backup blades. As you know one is none two is one. At first glance, the Wildcat might appear to be similar to the push dagger in that it would only be useful for self-defense. The Karambit knife design is an incredible self-defense tool but is also a pretty amazing utility blade as well. In many places such as the Philippines and Indonesia, the Karambit-style blade is the preferred pattern for work knives, as well as every day, carry knives. With the Wildcat being both a Karambit and a folder, you can bet that it would make a great tactical and practical addition to any kit. The Recon 1 is an overbuilt workhorse. Outfitted with Cold Steel’s Tri-Ad Lock you can trust this folder will perform under any stress you can throw at it. The Recon 1 comes in a few different blade patterns but my personal favorite is the tanto, especially for tactical applications. 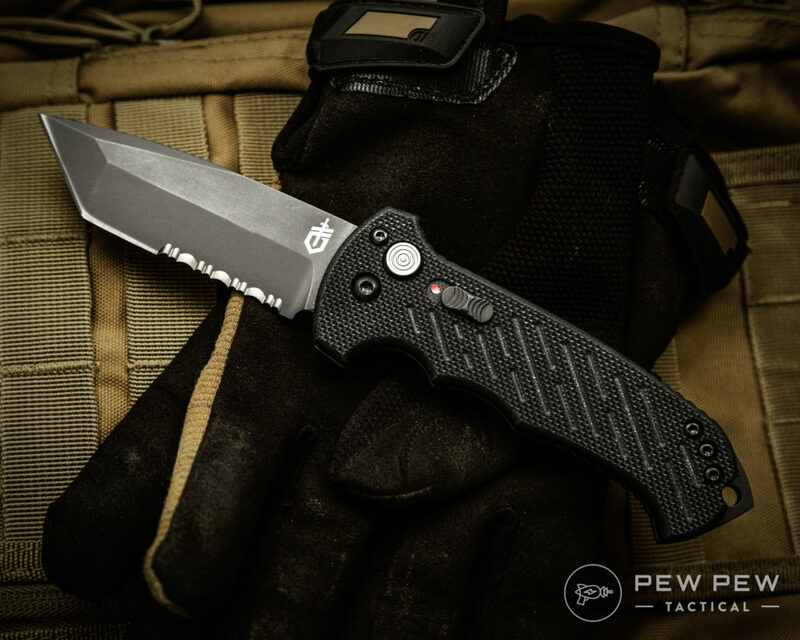 With all of its strong qualities, this Cold Steel is not lacking in refinement; premium steel, grippy G-10 handle scales, and fully ambidextrous design make the Recon 1 a pretty sweet package for the money. We also loved it in our Best EDC Knives article. Cold Steels Recon 1 is great for starting fires. The Yojimbo 2 is a serious self-defense knife designed and perfected by close quarter combat expert Michael Janich. The unique Wharncliffe blade shape is designed to ensure maximum surface contact in any situation. The iconic hole in the blade, (also known as the ‘Spydie Hole’), makes for fast one-handed opening and manipulation. The Yojimbo 2 pairs amazing handle ergonomics with grippy G-10 scales to ensure a secure purchase regardless of how you are holding the knife. While purpose-built for self-defense the Yojimbo 2 is the perfect size for EDC which allows you to keep it close at hand all the time. The Gerber 06 Auto is a legend, and for good reason. Excluding the Ka-Bar USMC, the 06 Auto has probably seen more action Down Range than any other knife out there. With a no-nonsense overbuilt design, you can trust this knife to get any job done. The 06 Auto comes in different blade shapes with serrated and plain edge options. It also has a slide lock that allows you to lock the blade open or closed depending on what a situation may call for. 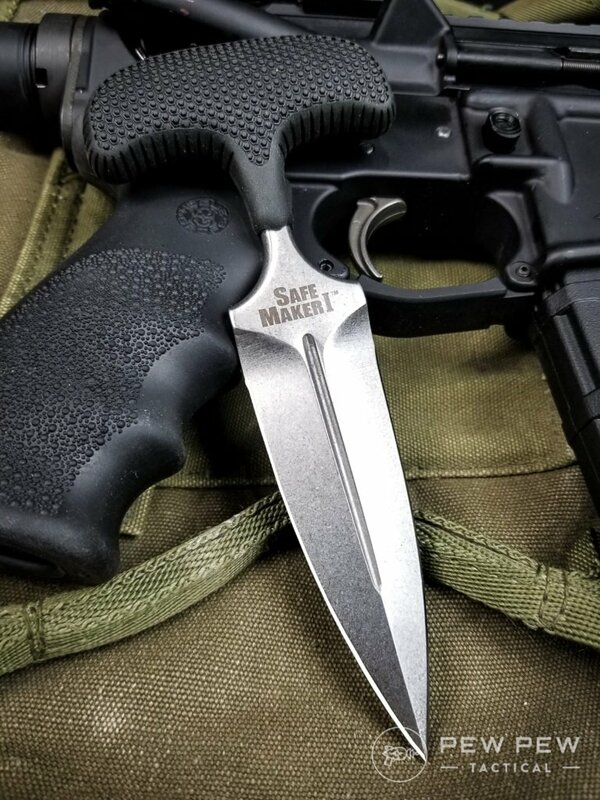 This tactical knife is made in the USA, has been tested and proven with deployed men and women all over the world, and has that incredible Gerber action. What more could you ask for? And what’s your take on the Gerber? If you have spent any time in the gun world you know the name, Hogue. Hogue Knives carry on the same exact tradition of quality and precision as Hogue Grips; they are made in the USA, still family-owned, and have a lifetime warranty. The author actually went out to see them this last Spring and got a first-hand look at what they are all about. You could go with almost any Hogue knife and walk away with a great tactical knife. The Sig EX-A05 was chosen specifically because it is a great automatic knife for gloved or non-gloved hands, and the whole line is perfectly color matched to certain Sig colorways. Who said just because your knife was tactical it couldn’t also look awesome. 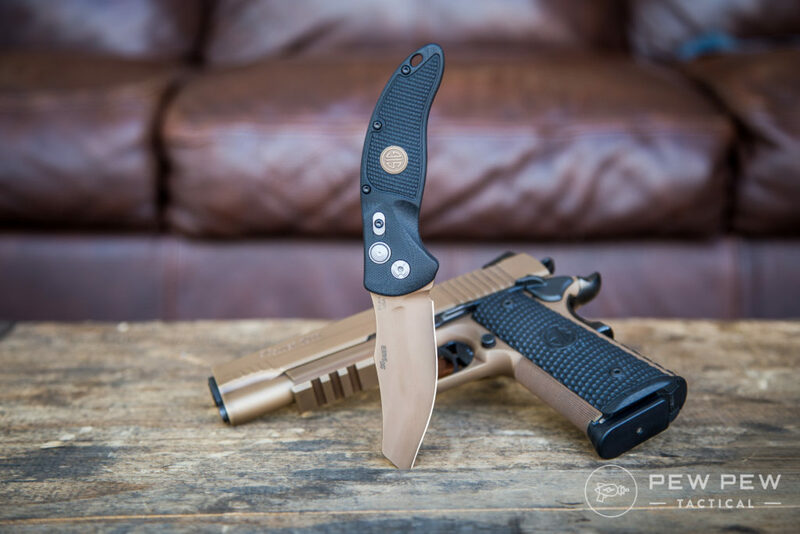 The word ‘Sheepdog’ may be almost as played out as ‘tactical’ in both the knife and gun world, but when you see it associated with Emerson Knives you can bet it still means something. The Rangemaster was inspired by Lt. Colonel David Grossman who was an Airborne Ranger and West Point instructor. Taking Grossman’s queue Ernest Emerson applied his two-plus decades of knife making expertise to create a knife fit for field or home. The Rangemaster has the most aggressive handle out of any other knife on this list as well as one of the thickest blade stocks. 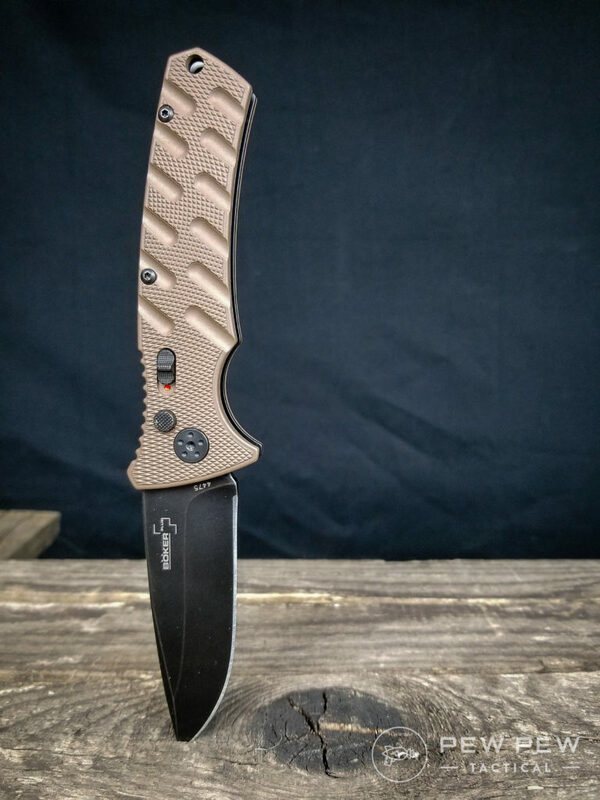 Between the Emerson Wave opening feature, and the overbuilt nature of the Rangemaster you would be hard pressed to find any other knife that will take whatever abuse you can throw at it and ask for more. I think we can all agree that Hollywood gets a lot wrong when it comes to the gun world. John Wick was not only an awesome movie, but it also got a lot right about guns, and consequently about knives as well. John Wick’s knife choice in both movies has been the Microtech Ultratech and for good reason. The Ultratech is the gold standard when it comes to Out The Front (OTF) knives. 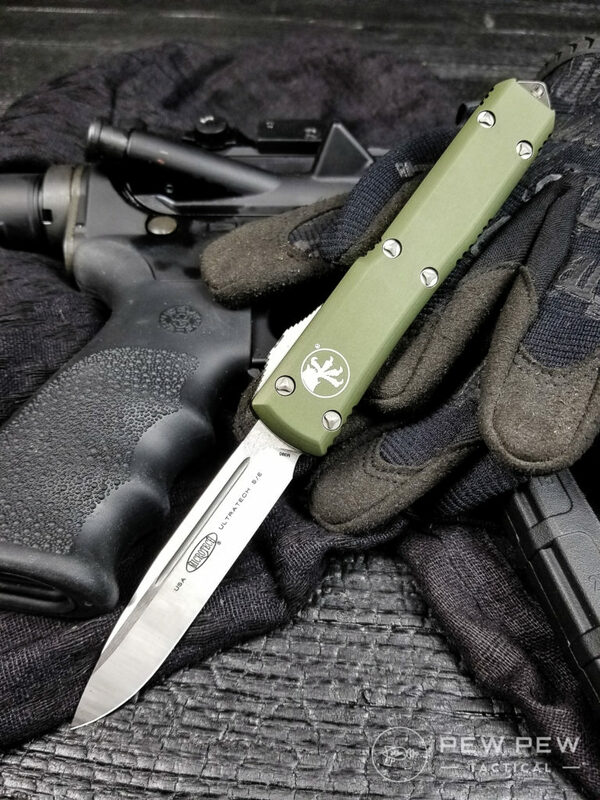 The Ultratech lives for tactical situations such as cutting seat belts, self-defense, field preparation or construction, as well as being the coolest guy in the room. With easy one-handed deployment/concealment, premium blade steels, multiple blade shapes, and a built-in glass breaker, it really is hard to beat the Ultratech in its ability to get a tough job done. Now that you’re a pro on what the best tactical knives are which one are you going to get? Did we forget the one you think should have made it? Also check out our favorites in Best EDC Knives. I come from a long line of cowboys and truck drivers. I grew up shooting guns, driving cross country and working with knives. After a year of traveling around the country building gun ranges I landed a sweet gig with Blade HQ. I am currently the Brand Manager/Youtube personality for Blade HQ and loving it. 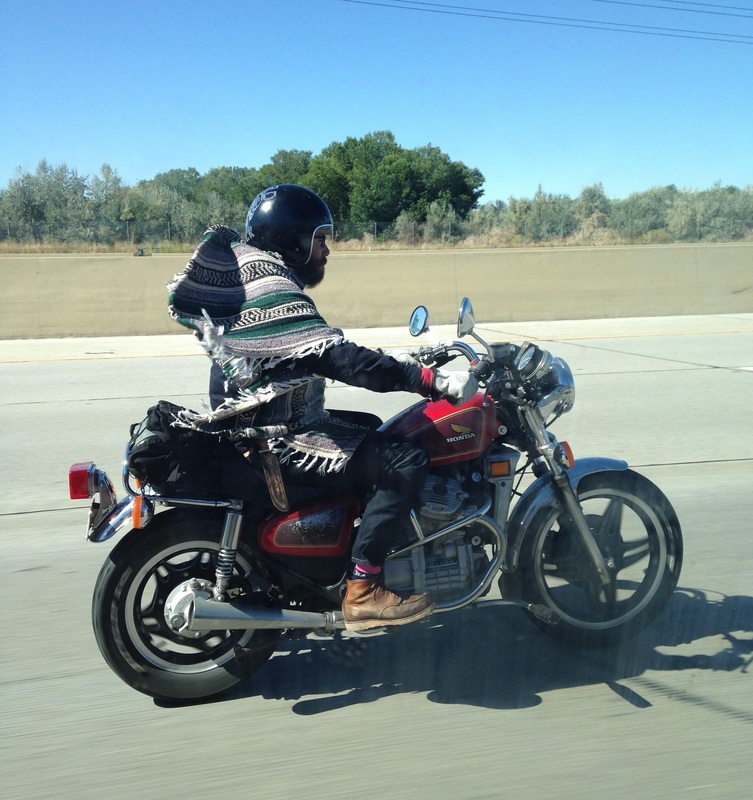 Check out some behind the scenes stuff by following my Instagram @zacinthewild. Microtech’s Combat Troodon D/E was used in John Wick 2. For God’s sake people, knifecenter.com has over 4000 different knives alone. Eric gives his opinion on 10 that he considered tactical and people get all butthurt because he doesn’t mention the knife grandpappy gave them. Absolutely love my Spyderco PM2. Opinions all stink so here’s mine. Seeing as most knives used for a “tactical” purpose will be carried by LEO’s I find it hard to believe that none of these have a glass breaker?